St. Martin's Griffin, 9781250004086, 432pp. In the spring of 1628, the Witchfinder of Wessex finds himself a true Witch. As Bess Hawksmith watches her mother swing from the Hanging Tree she knows that only one man can save her from the same fate: the Warlock Gideon Masters. Secluded at his cottage, Gideon instructs Bess, awakening formidable powers she didn't know she had. She couldn't have foreseen that even now, centuries later, he would be hunting her across time, determined to claim payment for saving her life. 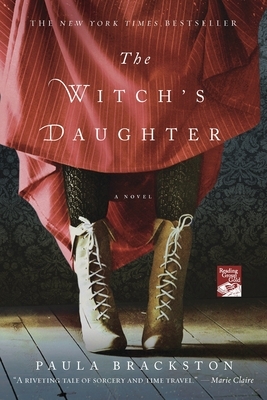 PAULA BACKSTON is the New York Times bestselling author of The Witch's Daughter and The Little Shop of Found Things, among others. Before becoming a writer, she was a horse groom, a travel agent, a secretary, a teacher, and a goat herd. Everyone (particularly the goats) is relieved that she's found a job she does properly. When not in her writer’s shed, Paula can be found being walked by the dog, hacking through weeds in her vegetable patch, or sitting by the pond with a glass of wine. She lives in Wales with her family.